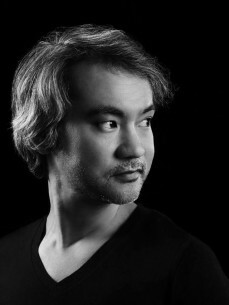 Satoshi Tomiie is Japan’s most successful DJ. Since the late 1980s he has been at the forefront of the global house music movement thanks to his seminal dancefloor anthems, pop remixes, headliner DJ sets and constant reinvention. A lifelong student of jazz and classical piano, Satoshi had an influential impact from his very first record. His debut single ‘Tears’, which he co-produced in 1989 with Chicago’s ‘Godfather of house’ Frankie Knuckles, was an instant club hit and is today considered one of house music’s most important moments. In the early 1990s, he toured and played keyboard for Japanese composer Ryuichi Sakamoto (of Yellow Magic Orchestra fame). His reputation for crafting meticulous club rhythms led to him remixing some of pop’s biggest names including U2, Mariah Carey, Photek, Simply Red, and David Bowie. At the turn of the millennium in a reinvention move typical of his DJ career, Satoshi introduced a groundbreaking new club sound via 2000’s ‘Full Lick’ album. The long-player featured dark twisted electronic rhythms, haunting vocals, and hypnotic grooves that came to set the benchmark for a new developing house scene. The album’s hit single ‘Love In Traffic’ became a worldwide underground hit. Another source of house music renovation, Satoshi and Hector Romero’s record label SAW.Recordings has continued to refine the Chicago and New York City house blueprint over the last 10 years. A fine supporter of new producers, SAW most recently has championed a new generation of European-based house talent including Audiofly, Doomwork, Mabaan Soul, Tuccillo, and Guti. In 2012, after a two-year absence from music production (Satoshi used the time to build a dream music studio in his NYC apartment), Tomiie is set to return with a whole new DJ sound, new singles, and remixes. His first offering is an 11 minute twisted piano house remix of Guti’s ‘Keep It’. The release is being supported by respected DJs and producers across the board including Marco Carola, Loco Dice, Reboot, Adam Port, Lee Burridge, 2000 And One, SIS, and Davide Squillace.